Not so much a timeout as a classic to fall back on, again and again. I have just returned from an epic trip in Italy, mainly camping, but in serious heat. That meant wearing cool, simple shapes at all times. The one piece of clothing that worked so many times was my Zara cotton over shirt (that could also be a dress), similar here. 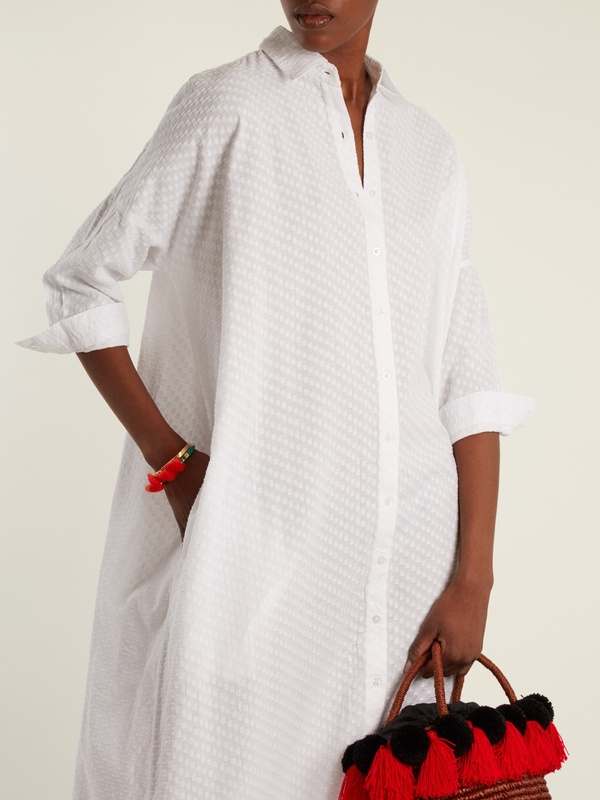 I found it the perfect cover-up over a bikini, the button front is far easier and more flattering than a kaftan style, and then for sightseeing with cycling shorts the cool cotton waftiness was a breeze, and easy to wash and dry too. It’s a classic and worn oversized, it could be borrowed from your fella for super relaxed dressing. A summer statement that won’t be wasted during our, hopefully, warm September, and for next year, here are some great designs from & Other Stories, a brand under the H&M umbrella (also including Cos; they are huge!) These some of these were on sale last week but have popped back to full price so keep an eye out for a bargain returning soon. …and Olivia Palermo wearing one as a beach throw, though I wear mine a little longer! And then whilst researching holiday shirts I came across this inspiring company, Wiggy Kit now being sold under the Matches online boutique. 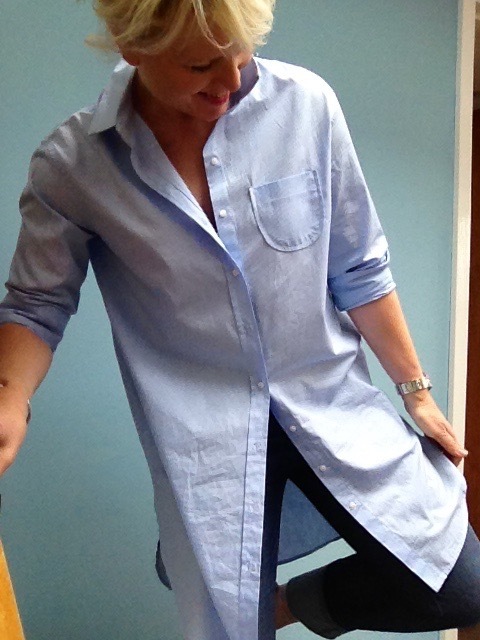 Simple, beautiful classic shirt shapes and dresses – pure design for easy wear holidays. Too nice for camping but perfect for a chic hotel layers, covered enough for breakfast and cool enough for a pool side layer. When it’s hot, keep it simple with shirt inspiration bought or borrowed.